Transformation is reflected in the narration of the events of the Reliance Toastmasters club. Diversity radiated through the vivid representation of the different cultures in the distinguishing outfits and performances of the members during the 67th chapter meet of Reliance Toastmasters Club, held on 18th August, 2018. The meeting was a memorable celebration of the glorified short history of its establishment. Each member king represented a unique cultural notion through a concise preface of his/her cultural specialties in their individual introductions in his/her native language during the meeting. 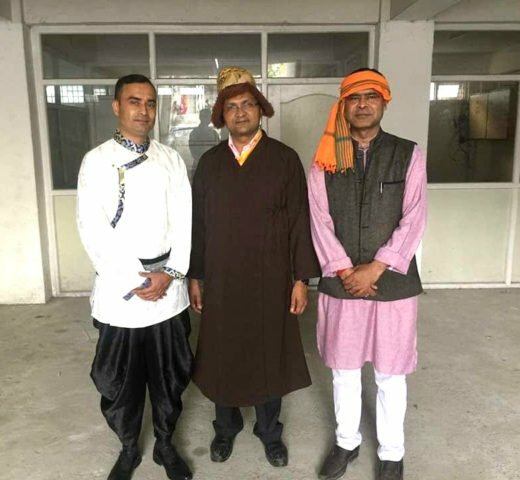 The cultural ambassador of the Gurung community, Toastmaster Basantalal Lamichhane shared his joy in taking part in ‘a conspicuous amalgamation and manifestation of variant identities that has been a beautiful endorsement of Reliance Toastmasters Club”. The episode that was designed to mark the significance of cultural diversity, harmony and fraternity in Nepalese society as its true assets was attended by the club members in dresses that were a befit placard of their culture. The Presiding officer of the meeting, veteran toastmaster Birendra Kumar Mehata, pronounced the meeting as, ”a capsule portrait of the mosaic of the culture of the three geographical regions: Himalaya, Hilly, and Terai under the theme of cultural diversity”. Moreover, he said, ”Today’s meeting has augmented the identity of Reliance Toastmasters Club as an abode of uniqueness”. The meeting began with a standing ovation by its members to the National Anthem and continued with the raising of the National Flag by the Sergeant of Arms, Toastmaster Rabindra Jung Thapa. Toastmaster Sushma Tamang Kaini, representing Tamang community in the ceremony, concluded the meeting by calling it, ”an exemplary effort of a small community to disseminate a loud message to the larger community regarding the significance of unity and integrity among diverse beings’.